Monarch Air Group provides private air charter in Torrance, CA. Our clients benefit from top-notch service, unrelenting dedication to safety, wide selection of aircraft, and years of experience in chartering private jets. To obtain a free quote, please use our online quoting tool provided below, or call toll free 1-877-281-3051. Monarch Air Group provides private jet charter flights in and out of Torrance, California, USA. Incorporated in 1921, Torrance is a commercial and industrial city in southwestern California, south of Los Angeles. The population of the city is about 145,438 people, and the total area is 20.5 square miles. The most popular tourist attractions include Wilson Park, Toytoa USA Automobile Museum, Torrance Cultural Arts Center, Chen Art Gallery, Riviera Health Spa, Madrona Marsh Wildlife Preserve & Nature Center, and some others. The nearest airports are Los Angeles International Airport (LAX / KLAX), which is located 11 miles from the city, John Wayne Airport (SNA / KSNA), which is located 34 miles from Torrance, and LA/Ontario International Airport (ONT / KONT), which is situated 55 miles from the city. 7. CNO, Chino, Chino, United States. 8. CPM, Compton, Compton, United States. 9. 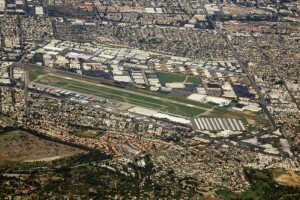 CVR, Hughes, Culver City, United States. 1. Miyako Hybrid Hotel Torrance, 21381 S. Western Avenue, Torrance. 2. Best Western Plus Sunrise Hotel At Redondo Beach Marina, 400 North Harbor Drive, Redondo Beach. 3. DoubleTree by Hilton Hotel Torrance-South Bay, 21333 Hawthorne Boulevard, Torrance. 4. Miyako Hybrid Hotel Torrance, 21381 S. Western Avenue, Torrance. 5. Travelodge Torrance Hotel, 2448 Sepulveda Blvd, Torrance. 6. Best Western Plus Sunrise Hotel At Redondo Beach Marina, 400 North Harbor Drive, Redondo Beach. 7. Best Western Redondo Beach Galleria Inn, 2740 Artesia Boulevard, Redondo Beach. 8. Extended Stay America, 19200 Harbor Gtwy, Torrance. 9. DoubleTree by Hilton Hotel Torrance-South Bay, 21333 Hawthorne Boulevard, Torrance. 10. DoubleTree by Hilton Hotel Torrance-South Bay, 21333 Hawthorne Boulevard, Torrance.